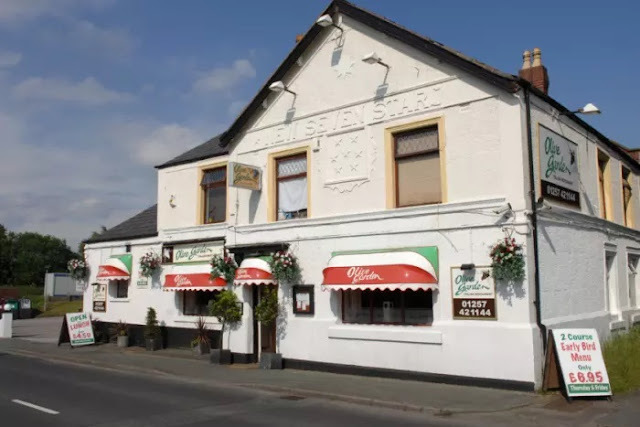 The New Seven Stars Inn opened in the 1840's and was located on Preston Road opposite the Old Seven Stars Inn and Farm. 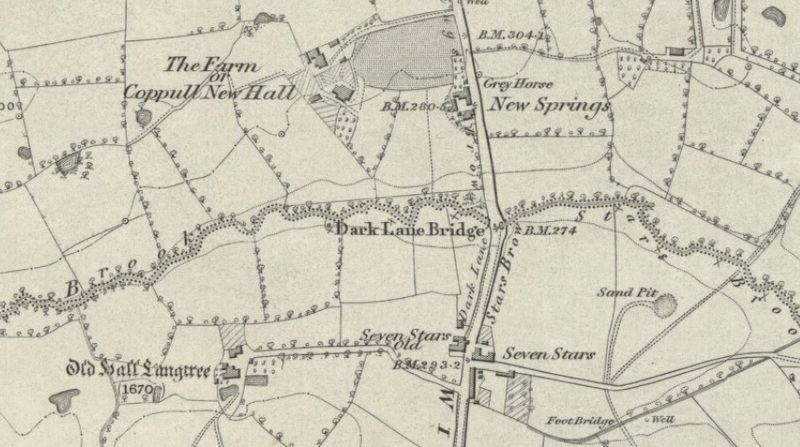 The building can be seen on the 1845 map below but does not appear on the 1841 census return. The Inn was the home of William Halton and his family and remained so until well into the 20th century. 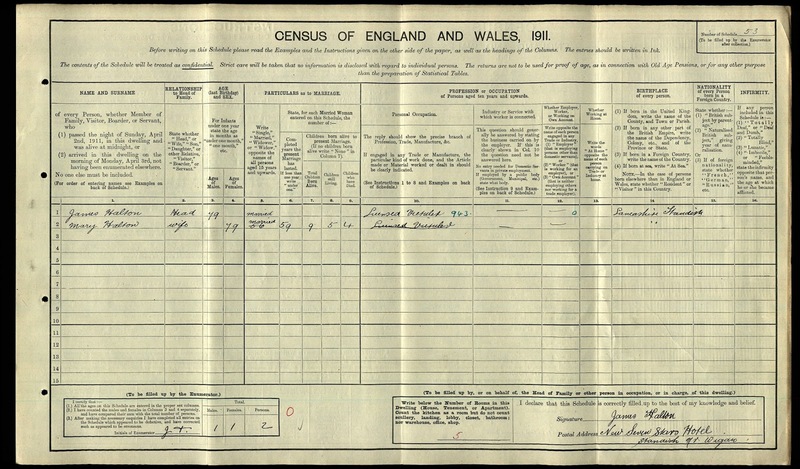 Blundell (1925) and Edward Blundell (1932). . 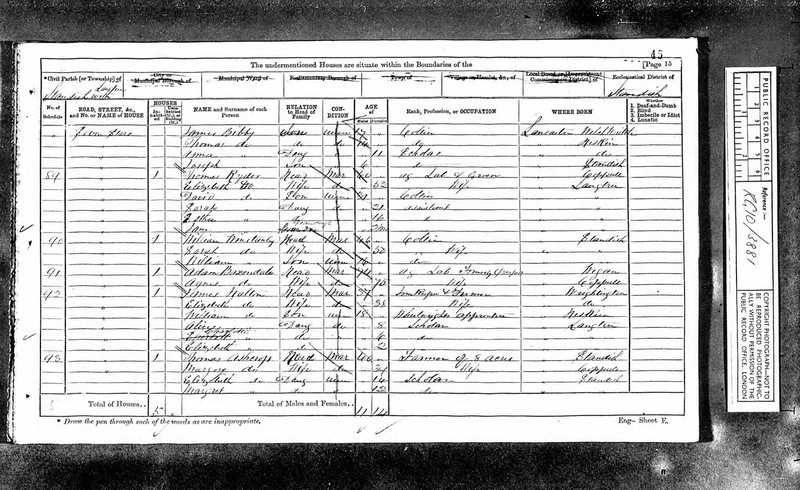 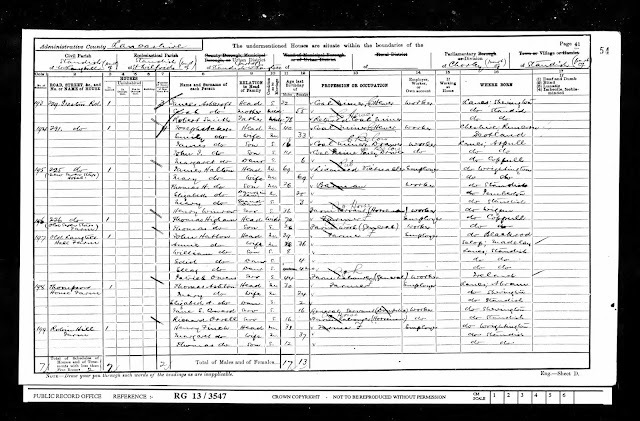 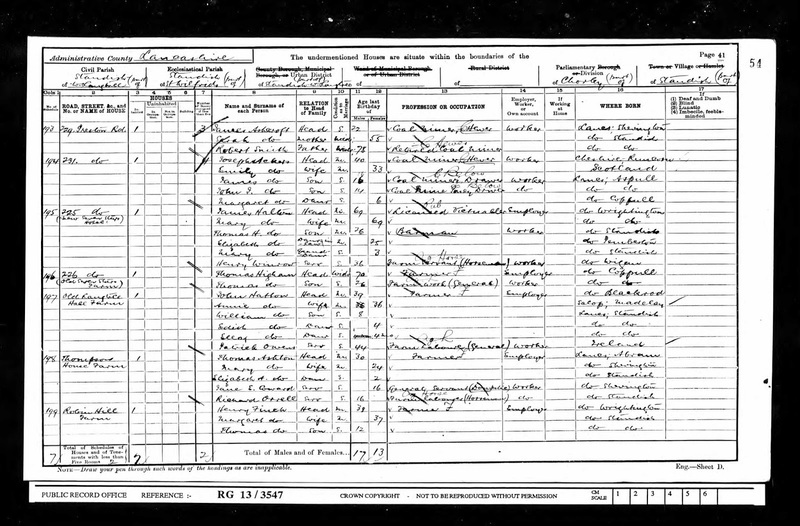 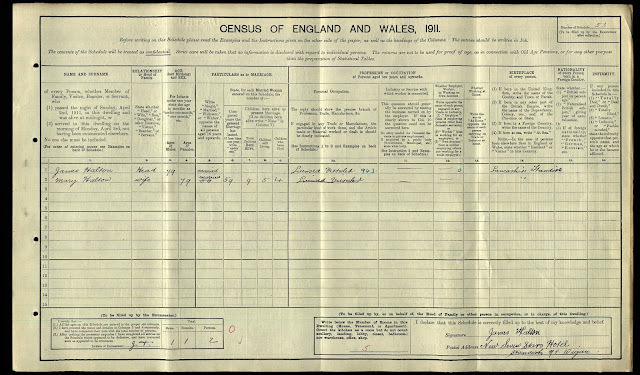 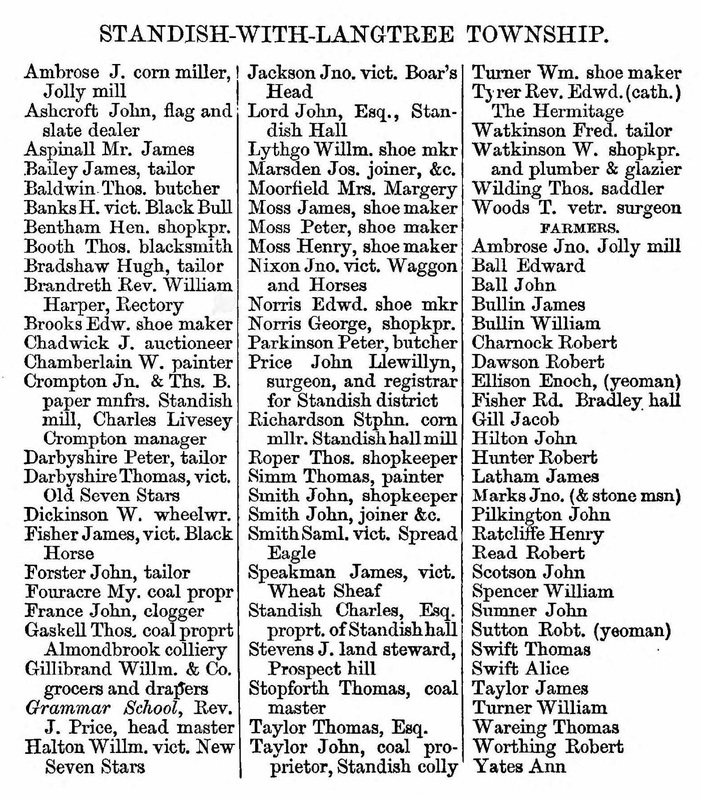 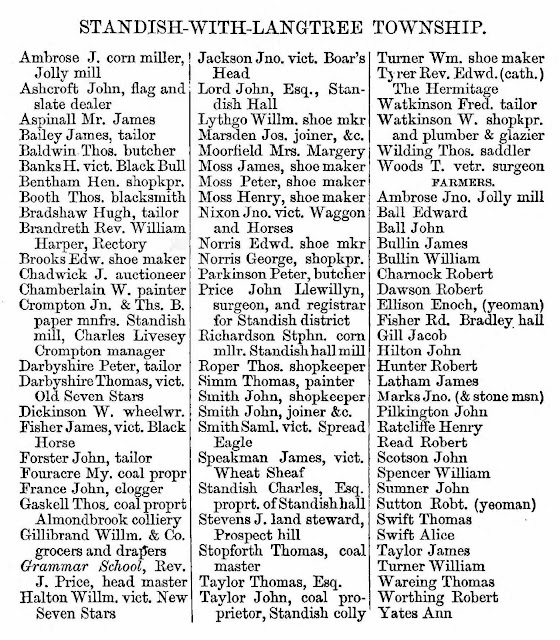 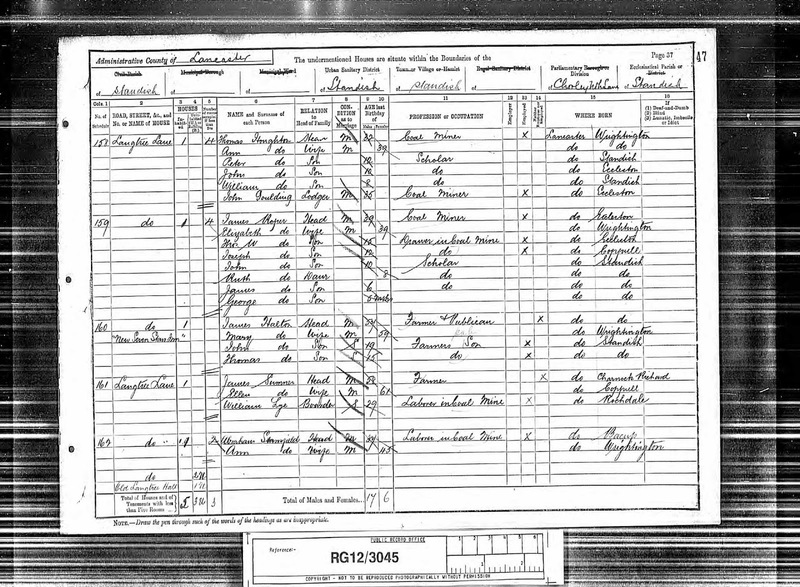 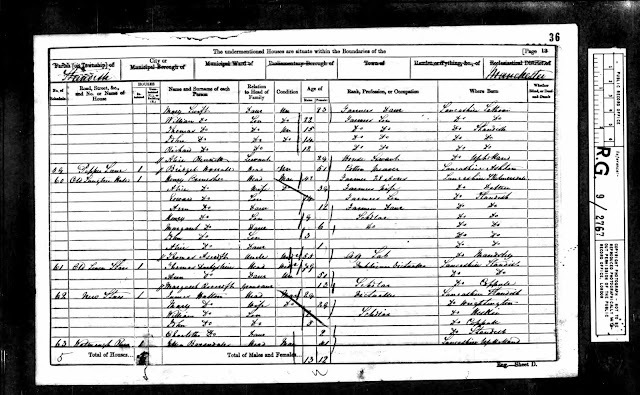 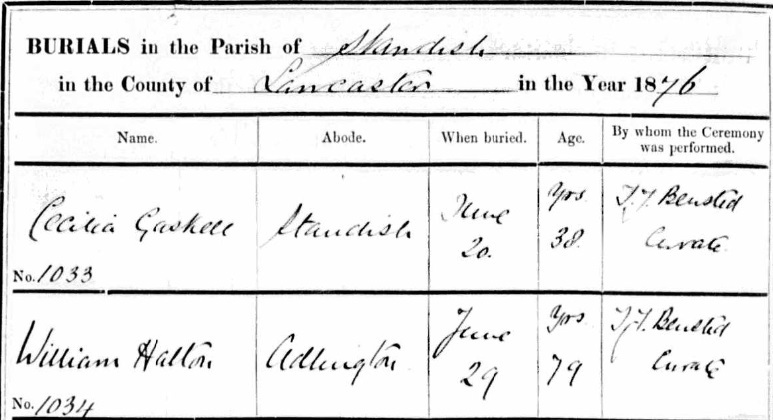 In 1841 William was living in the Parbold area with his wife Alice who he'd married in Eccleston back in 1822. 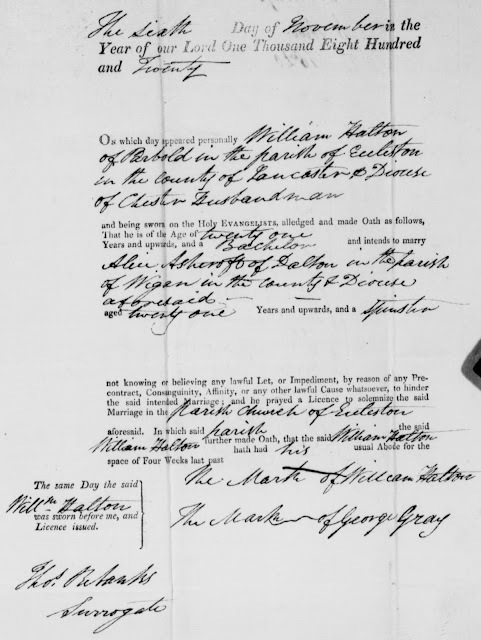 Like many beer house keepers in the 19th century the Halton family were first and foremost farmers, the Inn providing some extra revenue. 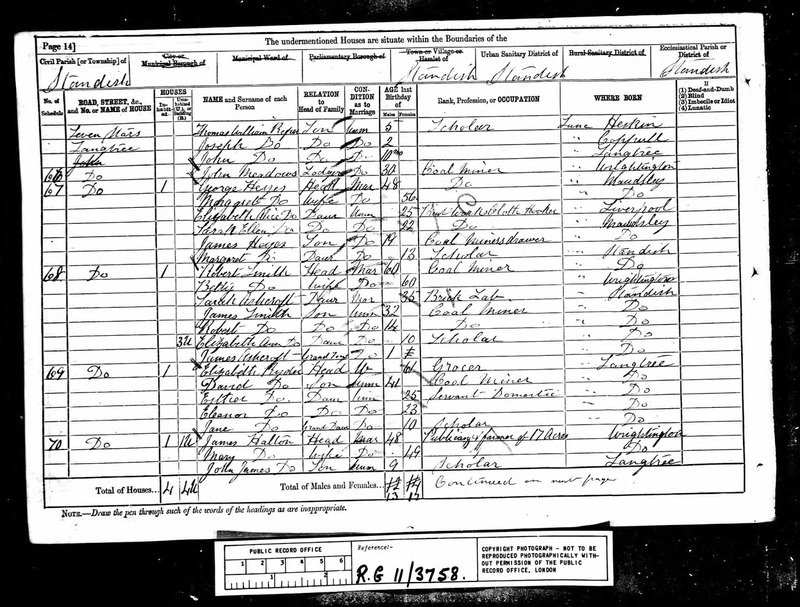 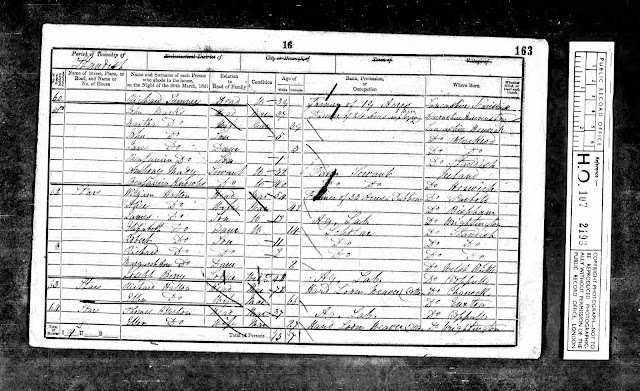 The marriage record below from St Wilfrid's church in Standish confirms that James Halton married Mary Seddon in 1853 who was also from farming stock. 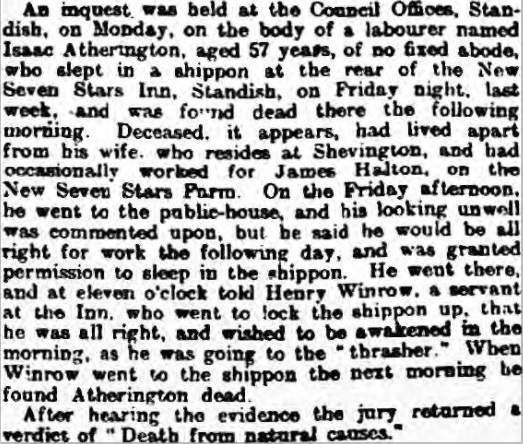 Sometime in the last 1850's William Halton left the Inn in the hands of his son James an moved with his wife Alice to Adlington where he continued to work as an agricultural labourer until his death in 1876. 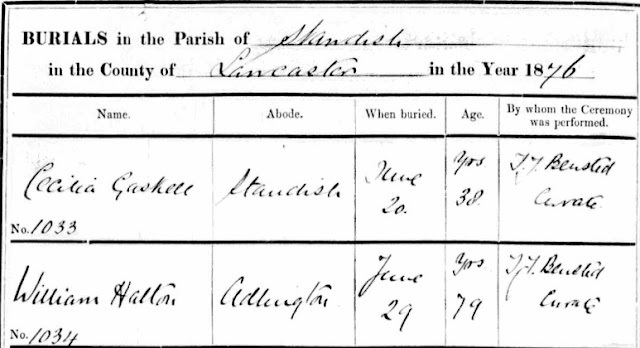 Despite leaving Standish to live and work in Adlington William was buried back at St Wilfrid's in 1876. 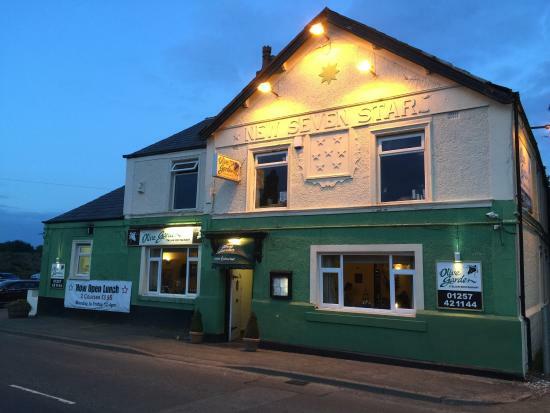 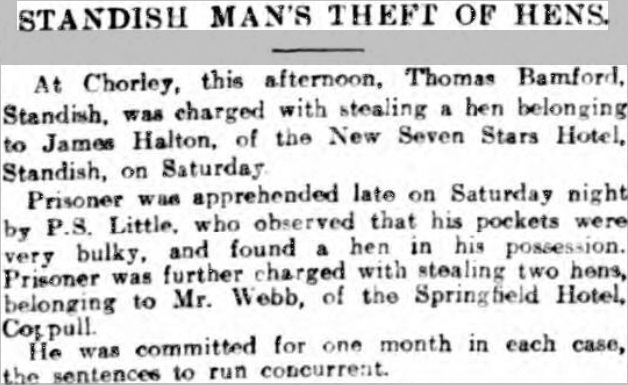 James Halton's son, Thomas Henry Halton was living with the family in 1901 and working as a barman in the Inn, but 10 years later he had moved on to his own pub, running the "New Seven Stars Hotel" higher up Preston Road towards the village centre (now known as the Shamrock).